Living… in Lanford, Illinois. Darlene is often at the center of the household drama. She shares her father Dan’s hobbies and her mother Roseanne’s personality. She’s closer to her younger brother D.J. than her older sister Becky is, but she also fights with him more often. She’s not much of a socialite, which means she’s home much more often than Becky. In short, Darlene is almost too much like her parents. Profession… student. Darlene has typically been an academic underachiever, preferring sports and art to studying. She excelled in writing, basketball and baseball, but upset her teachers by literally barking during class. While her parents embraced her talents, they also worried about her lack of ambition or plans for her future. The only pursuits she ever took seriously were her artistic ones, including the graphic novel that eventually won her a scholarship to an exclusive art school in Chicago. Interests… writing. She first gained attention for her writing after her school’s fine arts department recognized a poem of hers. 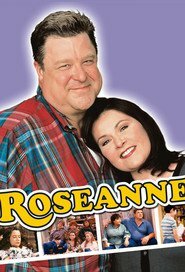 Roseanne tries to nurture these talents as much as possible, hoping it will be Darlene’s ticket out of Lanford and into the writing life that Roseanne herself always wished she’d pursued. Darlene’s art is a perfect antidote to her moody and domineering personality. Relationship Status… in a long-term relationship with David, the younger brother of her sister’s husband. It’s not without its up and downs, however, especially when Darlene goes away to art school. Challenge… finding discipline, for her own sake. Darlene frequently cut class and slacked off, but it was always under the assumption that her true passions lay elsewhere. Yet she even slacks off with her creative work unless she’s under Roseanne’s constant supervision. Like her mother, Darlene's ability to shrug off problems with a witty comment or two can mask real issues that need solving. In her efforts to be above-it-all, she can come off as cold and indifferent to others. Personality… moody, artistic, and sarcastic. A politically active tomboy, Darlene is self-aware enough to soften her rougher edges with humor. She’s extremely sardonic, dismissing almost everything with a caustic attitude, just like her mother. Like Roseanne, she can also be bossy, but can show compassion when she sees someone in true need. Darlene Conner's popularity ranking on CharacTour is #2680 out of 5,000+ characters. See our top-ranked characters and read their profiles.